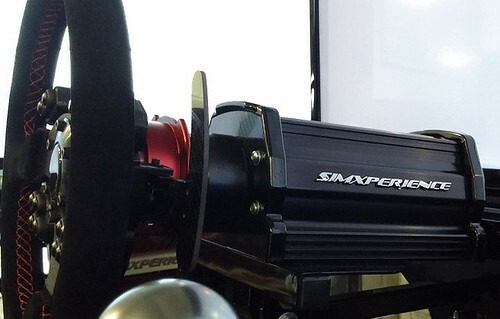 SimXperience is the world renowned company behind the SimXperience Stage 5 Motion Racing Simulator. It has been no secret that SimXperience have been working on a new product. 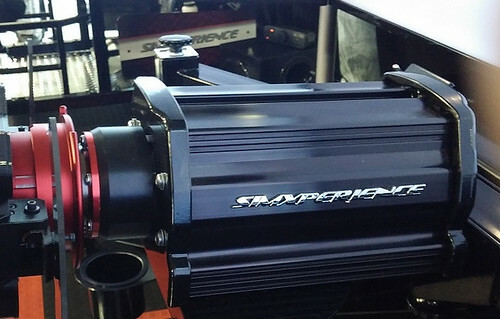 The AccuForce Pro Direct Drive steering system. We can easily say that this wheel is one of the most exiting and anticipated Professional Simracing products in development. SimXperience always stated that they would keep the price of this high end product below $2000. And so it is. Today head of SimXperience, Berney Villers announced the introductory prices on the iRacing Forums. Judging from this post, it seems that the official AccuForce webpage will be up soon. Component pricing, complete spec sheet, etc. will be made available when we complete the AccuForce portion of the website. At this point I know of no reason why we won’t be able to release the product this year as planned. Those of you patient enough to wait for the AccuForce won’t be disappointed. The result of the features and refinements we made throughout 2014 put this wheel in a league far beyond direct drive 101.
iRacing Members can check out the original post here. Performance: This wheel has been developed from the ground up to be second to none in the performance category. In my opinion, it’s as close to a real vehicle as today’s technology can provide. Significant amounts of testing effort, telemetry analysis and real world driver / team feedback have gone into the development of this product. I’m looking forward to upcoming reviews, comparisons and sharing further detail. Price: As low as it can be without compromising performance. I’m sorry, that’s somewhat vague, but we’re still deciding on things like final packaging, how much torque is too much torque (read dangerous), etc. I don’t want to spout off any estimates at this point and risk misleading anyone. Wheel Selection and “Modability”: This system has been designed with wheel modders in mind. We not only embrace the concept of 3rd party add-ons to the wheel, we’re seeking out modders to learn how we can provide the best platform for their current and future products. If you produce aftermarket wheel products and have not yet been contacted, please, reach out to us. We’ll be glad to consider your input. Manufacturing: This AccuForce wheel will be manufactured in the United States and Germany to ensure the highest possible product quality. Durability: Most of our products have to live in sim centers and constant consumer abuse scenarios. Durability and long life have been key design factors since the beginning of this project. When: When it’s bulletproof. We’re excited to share the new technologies we’ve developed to make this wheel possible but we want to ensure the same SimXperience quality that you’ve come to expect over the last 5 years. At this time, we expect an initial AccuForce release this year. Includes genuine Momo steering wheel. Choice of three wheel options. Robust Force Feedback Management and Analysis software suite. A DIY Kit of Motor, Controller and Cables. Adjustable Wheel Button Box complete with electronics and quick release (accommodates a wide variety of real world steering wheels). We will also provide some basic wiring diagrams to assist the modding community rather than waste your time reverse engineering. Here are some possibly interesting AccuForce related reads that discuss force feedback steering systems or our Sim Commander 4 software suite that provides vehicle / venue specific tuning. For example, visual force feedback clipping displayed on a track map, and many other such innovations. Due to the competitive nature of this market, some specifications will not be made available until the time of the product release later this year.